Despite his talent as a musician, a city boy decides to become a boxer. He's successful as a fighter -- much to the dismay of his parents. When gangsters try to by a piece of him he begins to have second thoughts. 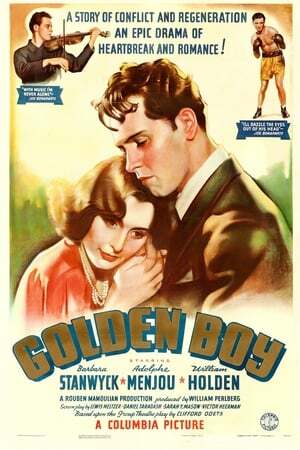 Golden Boy in film form is almost brilliant. Joe Bonaparte is a gifted violinist, but poverty bites hard and he tries his hand at the noble art of pugilism, he proves to be a natural and a career at the top beckons, but does he risk damaging his hands and ending his interest in another noble art? Angst abound as this Rouben Mamoulian adaptation of the Clifford Odets play hits a dramatic spot, whilst simultaneously firmly being only of its time. It hasn't aged well, its dialogue and character portrayals quite simply would be scoffed at now, but this is 1939 and one really has to have the f... read the rest.